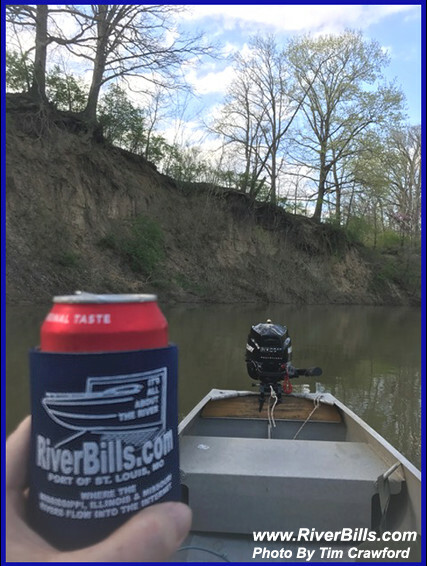 While the Mississippi is in flood stage, it's a good time to take out the "Creek Boat"
This is a spot on Piasa Creek known as Coyote Point. Happy Easter weekend. We are so excited for this weekend., Chef D put together a awesome Easter Brunch Sunday, April 21 beginning at 11 am. Baked ham, fresh green beans, potato casserole, pancakes, cinnamon raisin toast casserole, assorted varieties of quiche, biscuits and gravy, sausage, bacon, salad, brown sugar baby carrots, deviled bacon jalapeños eggs. Wow. Carrot Mimosas, Bloody Marys and Godiva bunny shots. 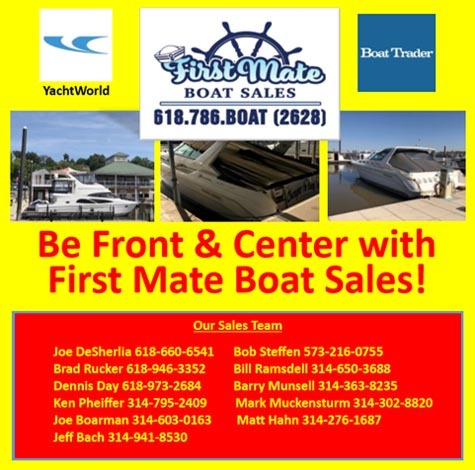 First Mate is a boat brokerage located on the beautiful upper Mississippi. 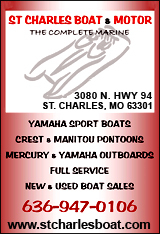 We sell boats and will find you the perfect boat! Picture on This Day On This Day in 2015.......... was sent to us by Capt'n George Shindel. 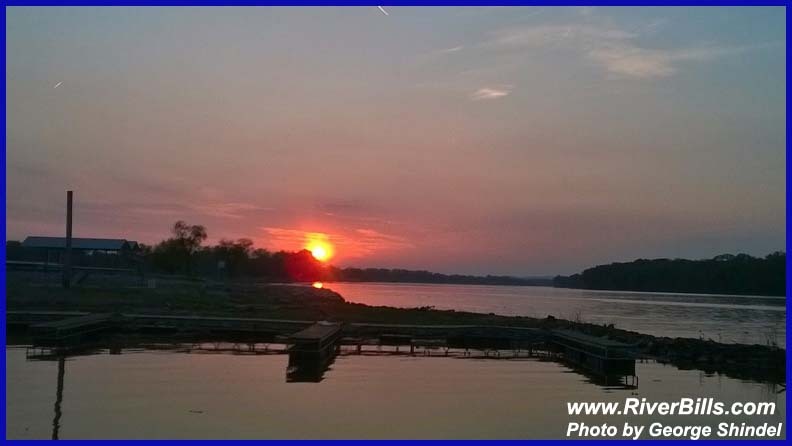 Click here for U.S. Army Corps of Engineers, St. Louis District, River & Reservoir Daily Report. 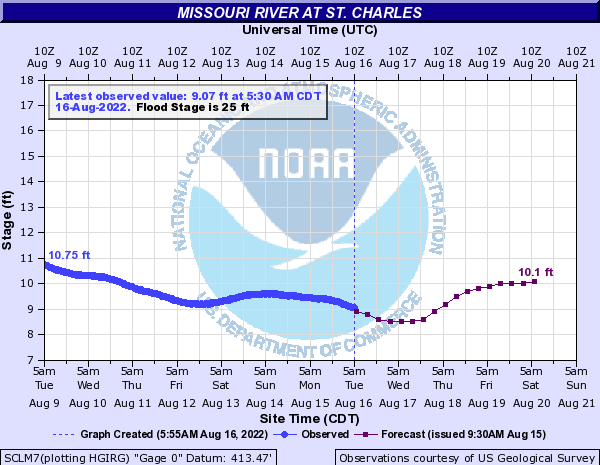 Click here to activate map from NOAA's National Weather Service website then click on gauge location for current river levels, river forecast and flood watches, warnings and advisories. The Lord willing, we plan to reopen Saturday at 11am. Every Sunday- Breakfast from 8am until 11am to include fresh fruit, assorted muffins, scrambled eggs, hash browns, sausage, bacon, biscuits and gravy, omelet station, waffle station and more. Click here to buy your River T-shirts and Accessories on-line..
L/D 17, in the vicinity of Mile 437.0, L/D 22, in the vicinity of Mile 301.2. 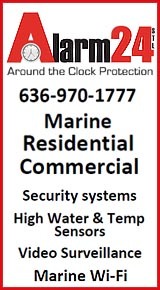 Mariners are encouraged to contact the respective lock masters, for additional information. Pool 10 (Mile 647.8 – Mile 647.9) Pool 26 (Mile 241.4 – Mile 200.5). High water and drift potential may be encountered in these areas. Mariners are advised to minimize their wake, exercise caution and avoid laying up on levees. Recreational traffic is not recommended. 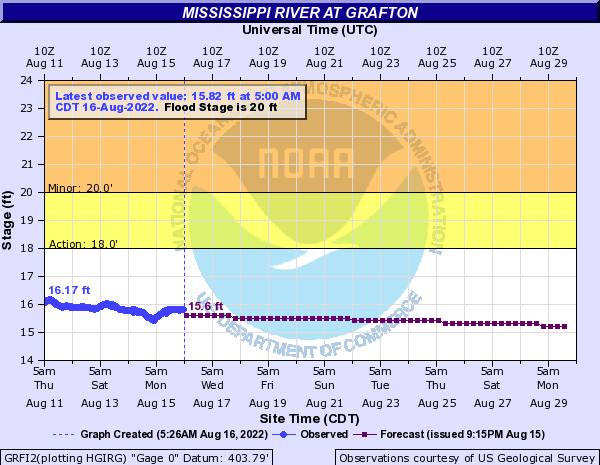 Mariners should be experienced in high water conditions and avoid downstreaming operations if possible. Mariners should remain vigilant to an increase in debris and maneuver appropriately. Be aware that a buildup of debris in fleeting areas may have occurred and take appropriate action to prevent breakaways. Navigational buoys may have been dragged off station, so remain cautious while transiting. The following area is in the extreme high water action phase IAW the Western Rivers WAP Annex: Zone 28 (Mile 185.4 – Mile 109.9). Recreational vessel traffic is not recommended. Havana (Mile 128.9 – Mile 102.0) Hardin (Mile 49.9 – Mile 10.0). High water and drift could be encountered in this area. Mariners are advised to minimize their wake and exercise caution. 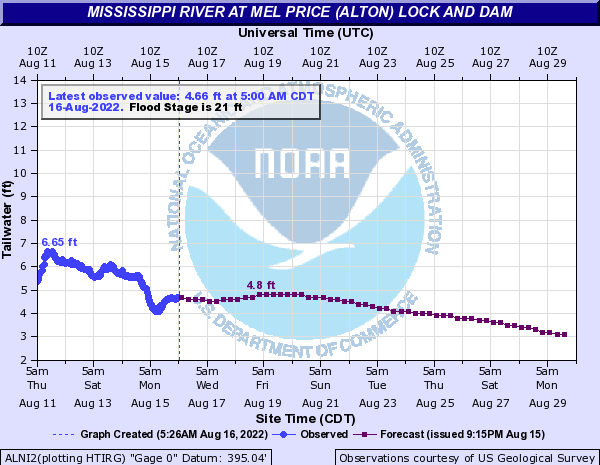 Mariners should avoid laying up on levees and recreational vessel traffic is not recommended. Mariners should be experienced in high water conditions and avoid down-streaming operations if possible. Mariners should remain vigilant to an increase in debris and maneuver appropriately. Be aware that a buildup of debris in fleeting areas may have occurred and take appropriate action to prevent any breakaways from occurring. Navigational buoys may have been dragged off station, so remain cautious while transiting. 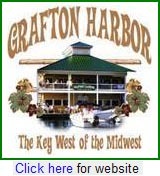 Grafton (Mile 9.9 – Mile 0.0). 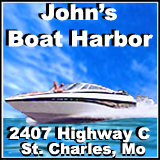 It's a group for all the boaters on all the rivers near the "PORT OF ST. LOUIS AND BEYOND." It's a Public Group, open to anyone that wants to join in. A place to post your boating pictures, shout outs, questions, comments, etc. Stay in touch with other boaters all year long. 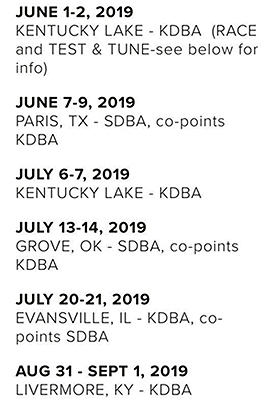 Invite your Boating Friends. We have 3,702 members as of 04-19-19....... Click here and check it out. 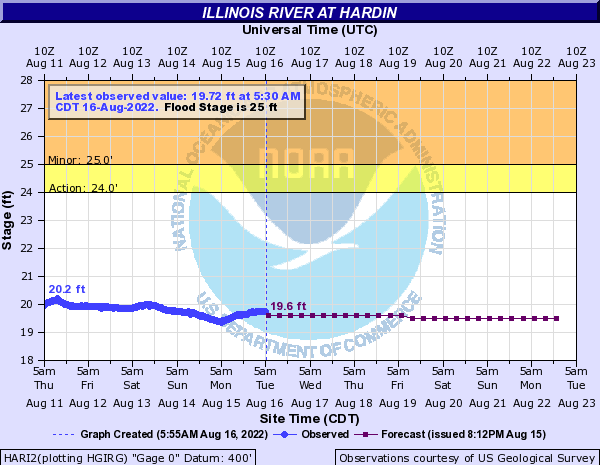 On Thursday, Missouri Governor Mike Parson stated that next week, he is expecting to request a federal disaster declaration, as preliminary damage assessments indicate flooding has had devastating effects on roads, bridges, homes and other infrastructure. Governor Parson stated that there isn't any doubt that federal disaster assistance is justified to help Missouri businesses and families recover, rebuild and keep their communities progressing. Click here to read this news report from kfvs12.com. With Photo. 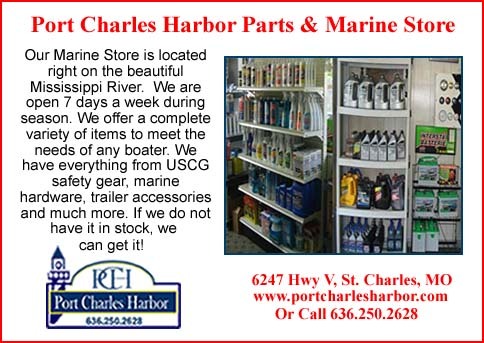 We offer full fiberglass repair, high performance upgrades, transom & stringer rebuilds, service on older products, new & used parts department, an accessories department, as well as many other services to suit everyone's boating needs. Easier to get to the boat now ! 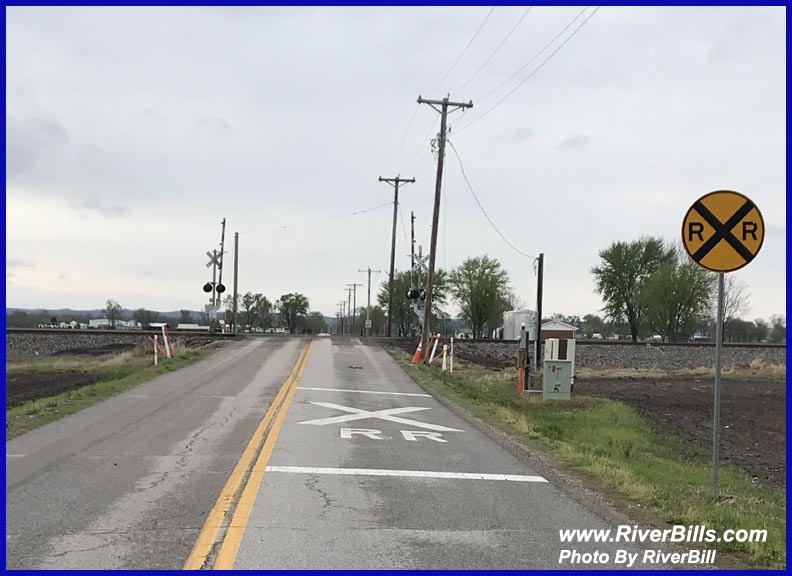 The Railroad crossing at Washeon Road in St. Charles county is OPEN ! 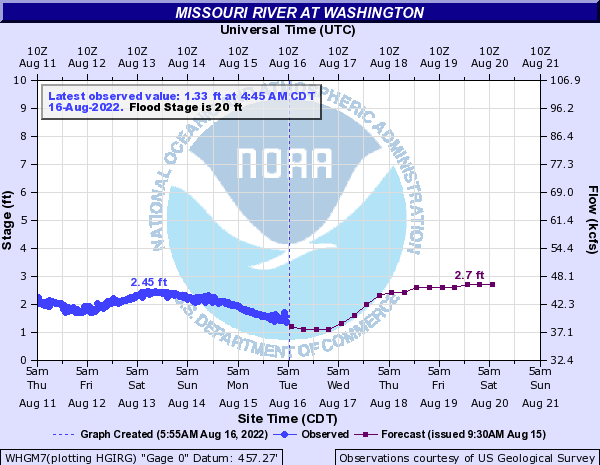 On Wednesday, officials with the U.S. Army Corps of Engineers stated that changes to the Missouri River's management would not have prevented the damage caused by last month's flooding. 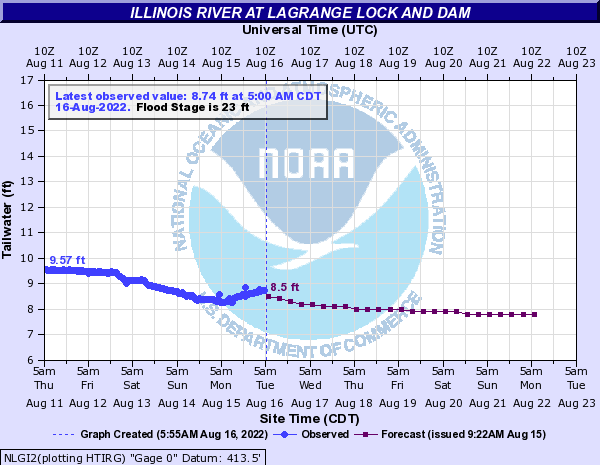 The problem is that the six-dam reservoir system upriver was not designed to handle the amount of water that flowed down the Missouri River last month, breeching levees and flooding residences and farmland. Click here to read this news story from omaha.com. 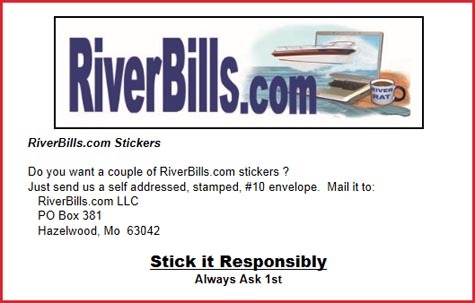 The restaurant at the Yacht Club of St. Louis has a new supply of RiverBills Bumper stickers. 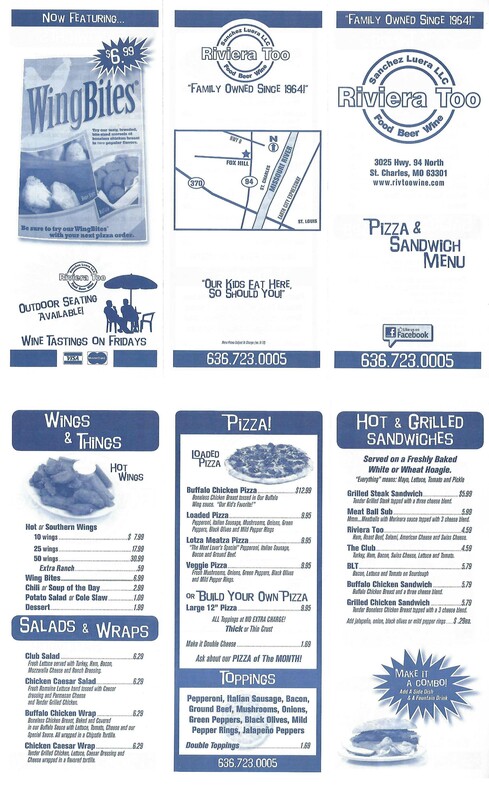 Stop in, grab a bite to eat and pick one up ! 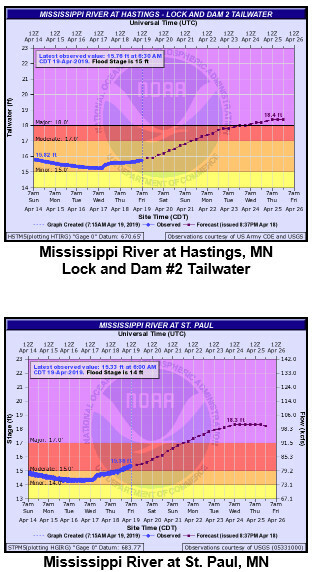 There are 2, 3 & 4 foot jumps in forecasted river levels starting around Dubuque, Iowa up to St. Paul, Minnesota. The U.S. Army Corps of Engineers, St. Paul District is currently revising their Upper Mississippi River Master Plan, and they are calling on the public to provide comments on it. The Master Plan is the guiding document dictating how the Corps' federal lands are managed for environmental and recreational stewardship. The current Master Plan has been around since 1988, and was supplemented with a "Land Use Plan" in 2011. 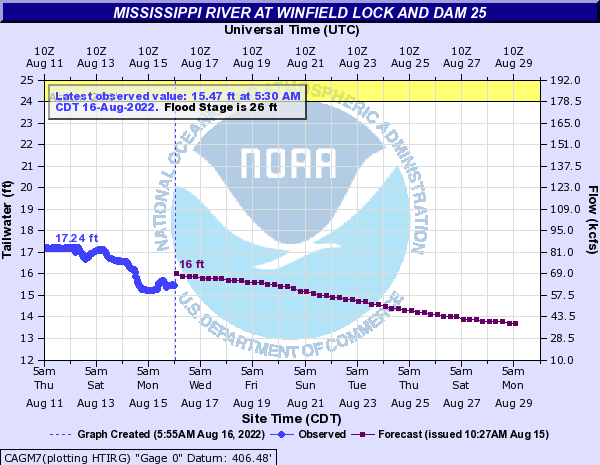 Click here to read this news article from the U.S. Army Corps of Engineers website.. NOTE: Please use alt route. NOTE: RT C closed north of RT B. Local Traffic Only. NOTE: Road closed due to water over the roadway. Please use alternate routes. • IL 155 Laurent Road to Fish Lake Road near Prairie Du Rocher in Randolph County. Closed due to flooding. The Brussels Ferry is closed due to flooding. BE RESPONSIBLE FOR "YOUR TRASH"
BE RESPONSIBLE FOR "YOUR WAKE"
Correct Craft recently announced that they have acquired Parker Boats, a 55 year old company that constructs premium inshore and offshore fishing boats at their Beaufort, North Carolina facility. The acquisition enters Correct Craft into a new segment of the marine industry, as well as enabling Parker to expand their production capacity and leverage Correct Craft's operational experience. 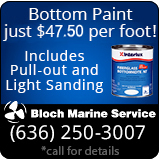 Click here to read this news report from boatingindustry.com. 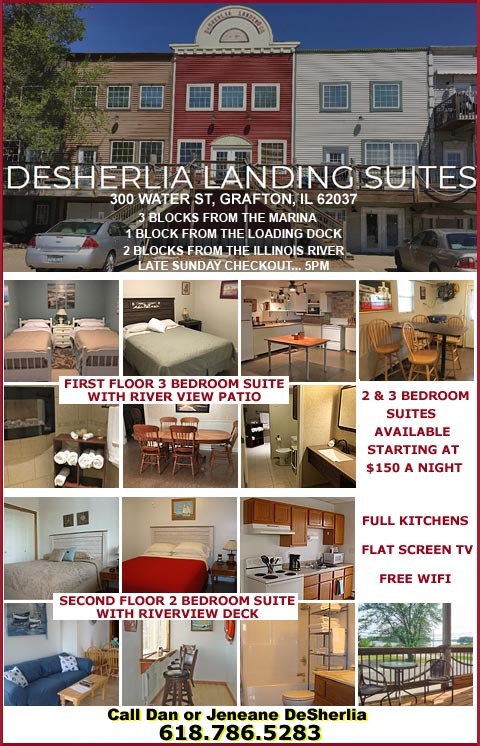 Click here to visit the Correct Craft website. Forbes Magazine recently named Brunswick Corporation to their list of America's Best Employers for 2019. Brunswick placed number 219 for employers with 5,000 employees of more. The list of 500 honorees was released by Forbes, in partnership with Statista.com. 2019 is the second consecutive year that Brunswick was named to the list. Click here to read this news article from boatingindustry.com. Click here to visit the Brunswick website. From "Now" until "October 2019"
Six months on the Classified Page. 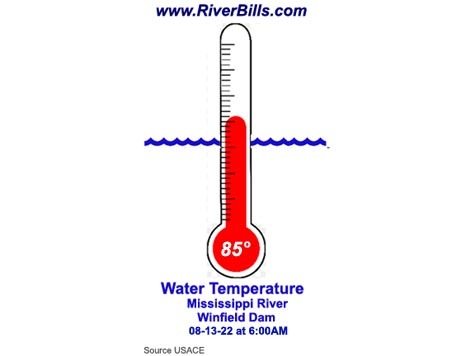 e-mail your info along with 6 pictures (max) to riverbill@prodigy.net. 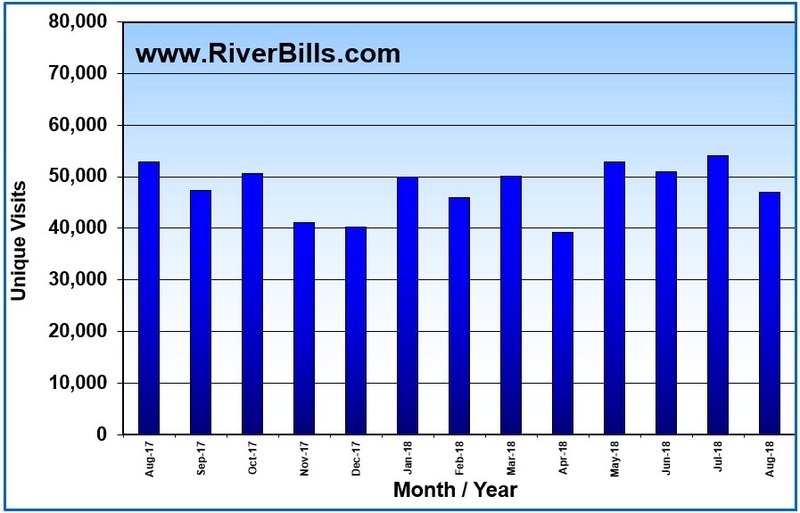 SPRINGFIELD, Va., April 18, 2019 – If you run a business that requires recreational boaters to break out their wallet or credit card, you’re likely ramping up efforts now to maximize the revenue you’ll earn during the busy summer boating season. 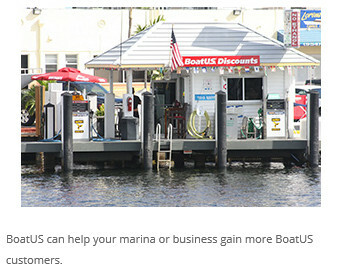 Don’t forget the power of the BoatUS Partner Network Program that drives boaters to more than 900 marinas and 300 other boating-related local small businesses that offer discounts to the half-million members of Boat Owners Association of The United States (BoatUS). 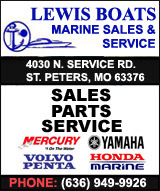 The program is now seeking applications for business partners at BoatUS.com/Partner. 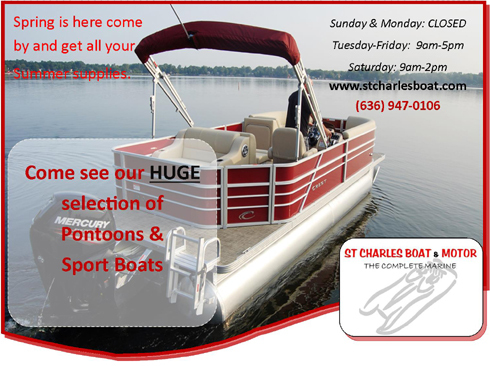 In exchange, BoatUS offers up to $250 a year simply for including a BoatUS logo in local advertising and offers additional marketing support online, in boating publication advertising and in point-of-sale promotional materials. “Our BoatUS members are very loyal, and our program gives BoatUS Partners a way to tap into that allegiance,” said BoatUS Membership Programs Manager David Mann. Additionally, BoatUS Partners are eligible to receive compensation for selling $24 BoatUS annual memberships to their customers. The most common marina discounts are on fuel, repairs and transient slips. 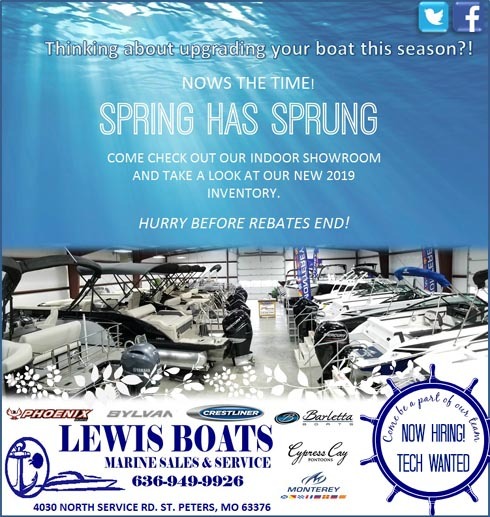 Tackle shops, repair facilities, sail lofts and other businesses that cater to boaters have the flexibility to select discounts that best fit their customers’ needs. 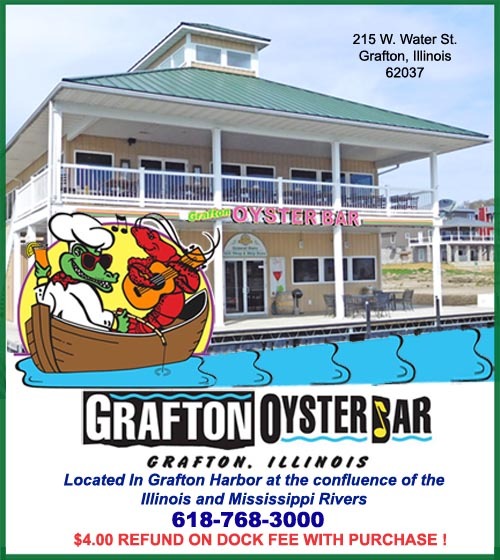 $5.00 lunch specials from 11am till 2pm Monday thru Friday from 11am till 2pm. Happy Easter weekend. We are so excited for this weekend., Chef D put together a awesome Easter Brunch Sunday April 21. @ beginning at 11 am. 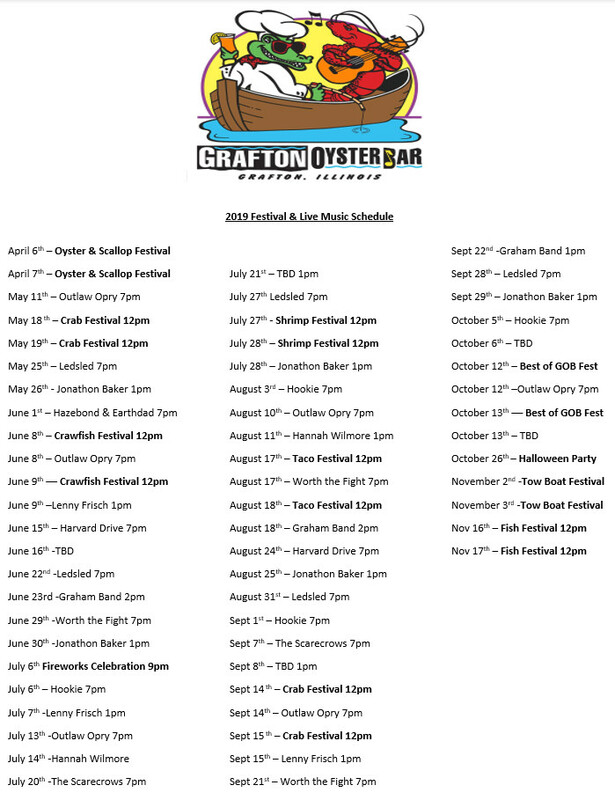 Mark your calendars and make reservations now! Our first official sunset cruise of the season and it's a dinner cruise! 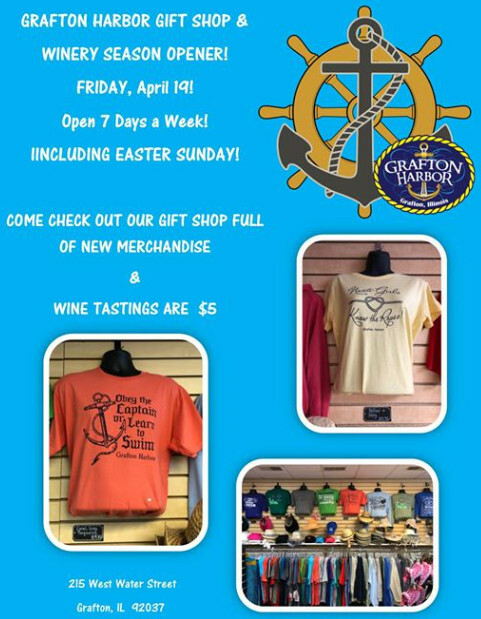 Hey Harbor Boys and Girls. 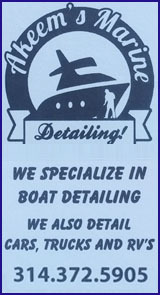 It looks like it will be about 2 weeks before we can drive into the Harbor = SO if you want your boat de-winterized, call the office, and Pat will take a day down at the Harbor and take care of your boat. That way, when the river is nice, you will be ready. I know you all hate this water situation as we do also. Not much we can do. So sorry, but will be lots of boating left, so hope to see you soon. Hi everyone! It's getting to be that time of year again! 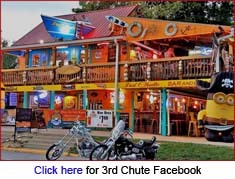 We are looking for fun, energetic, and friendly servers, bartenders, and cooks who can work on their feet. Servers must be 18 years of age, bartenders 21 years of age, and cooks 16 years of age. 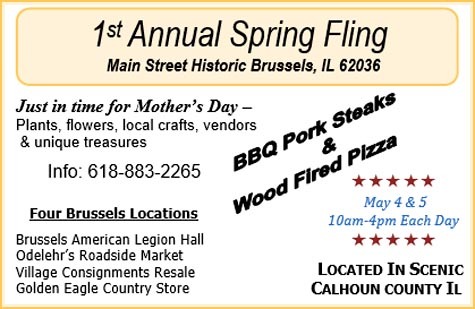 If anyone is interested, please contact Jeni Kiel at 618-799-9670. 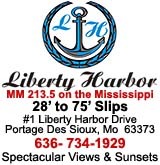 We’re excited to announce 40% OFF all annual docks & slips to new members! ●FILET SALTIMBOCCA Prosciutto, provel & a red wine demi glace. 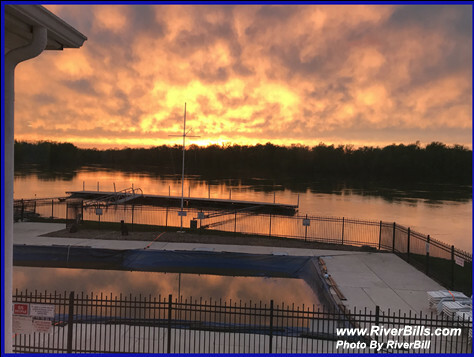 The Webcam uploads a new picture every 6 minutes..
Go to www.RiverWebCams.com for the last 10 pictures from the above camera! Send Us Your News Tip ! If you see something that you think your fellow boaters would be interested in, send us a news tip. Email it to RiverBill@prodigy.net and we will get it on-line. If you are shown on any picture published on RiveverBills.com and don't want this, email riverbill@prodigy.net and we will remove the picture. One of the best views on the River! Tue, Wed, Thurs & Sun! The Duck Club Yacht Club restaurant is Under New Management and will open on March 15th to members. 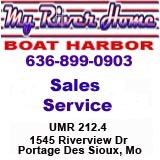 Call office at 636-250-7500 for information on dockage, rack storage, winter storage, winterizing and service or repairs. 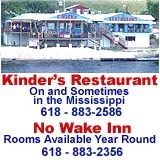 Call 636.723.0005 when your headed to the river and they will have your food ready when you arrive at the store ! Copyright © 2018 Unpublished. All rights reserved.